Many of the illustrations may be clicked for full size. Bolingbroke at the Commonwealth Air Training Plan Museum ~ Brandon Although the original purpose of the Bristol Blenheim was maritime patrol, this aircraft as the Canadian version Bristol Fairchild Bolingbroke, showed a great ability to take on a number of diverse assignments. In World War II it proved to be an excellent platform for gunnery and radio training in the British Commonwealth Air Training Plan and an aircraft well suited for maritime patrol on Canada’s Atlantic and Pacific coasts as well as in the Aleutian Islands to help the United States. In the mid-1930s, the Royal Air Force took on the Bristol Blenheim Type 142M as a replacement for the Avro Anson as its primary reconnaissance and bomber aircraft. This aircraft utilized the Mercury VIII engines of the civilian aircraft on which it was based. It also featured an all-metal stressed-skin construction, retractable landing gear, flaps, a powered gun turret and variable-pitch propellers. 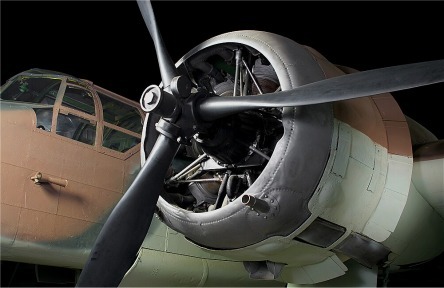 Modifications to the nose of the Blenheim gave the aircraft its unique, asymmetrical look. The change to the nose was instituted to allow more room for the bombardier while retaining a good view for the pilot while taking-off and landing. In the beginning of World War II, the Blehneim saw duty as a long-range and/or night fighter and bomber for the RAF. This 1930s aircraft was not a good match for the advanced technology of the enemy’s air force and anti-aircraft measures. It was replaced by the more advanced Bristol Beaufighters and Beauforts for direct action against Germany. 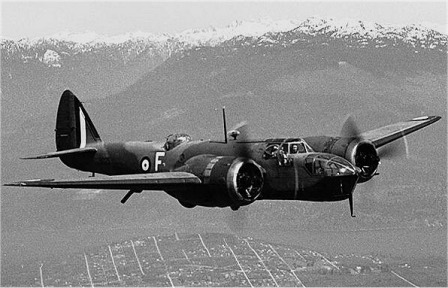 The Blenheim continued to provide coastal patrol and submarine-hunting duties to the end of the war in Europe. 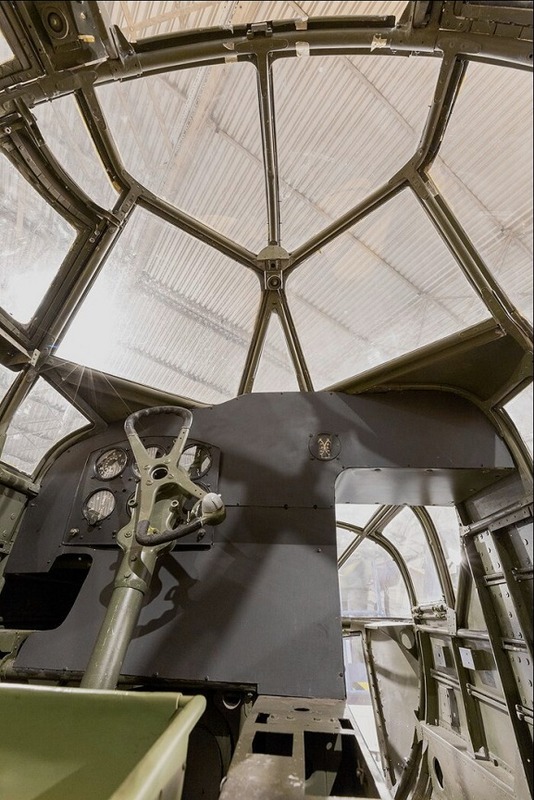 Coming to the aid of the Canadian war effort, the Blenheim was licensed to the Fairchild Aircraft Company in Canada which was built as the Bristol Bolingbroke. It was virtually identical to its British cousin, the Bristol Blenheim Mk IV. 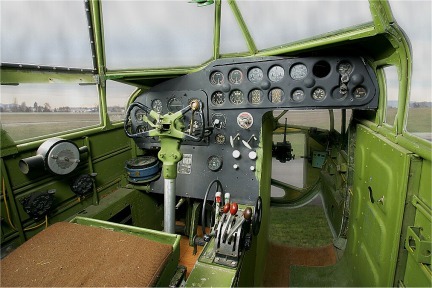 Typical crew for the two versions of this aircraft was a pilot, navigator/bomber and telegraphist/air gunner. Seven versions of the Bolingbroke were built by Fairchild in Canada at its factory in Longueuil, Quebec. 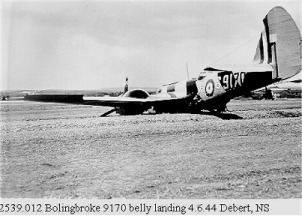 The primary specification set out by the Royal Canadian Air Force for the Bolingbroke was that it be adapted to the needs of Canadian maritime patrol duties. 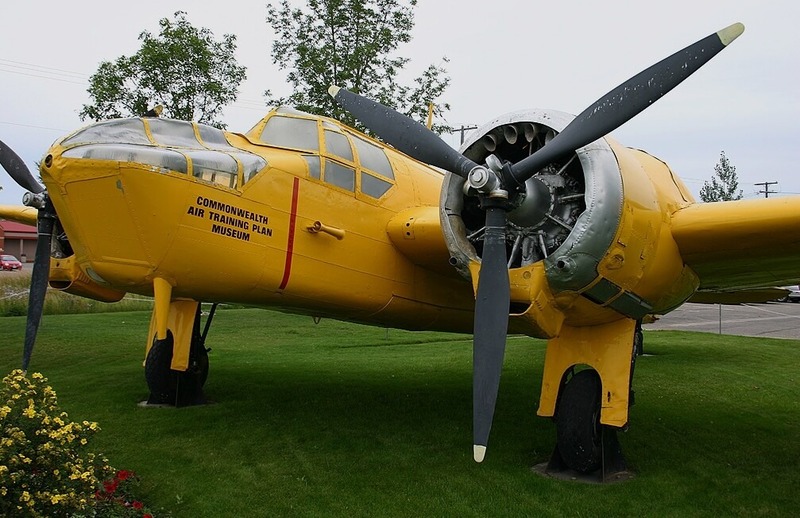 The RCAF initially took delivery of 18 Bolingbroke Mark Is which were equipped with twin Bristol Mercury VIII radial engines and British instrumentation. Of the original 18 Mark Is, one was equipped as a floatplane and another was equipped with American instrumentation. 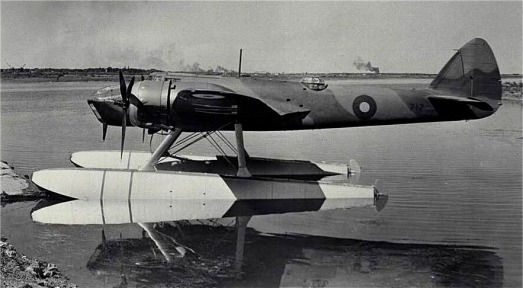 Production of the Bolingbroke Mark IV variant began with changes to the more powerful Bristol Mercury XV radial piston engine, anti-icing boots on wing surfaces, a dinghy for forced landings on water and both American and British instrumentation. In expectation of a shortage of the Bristol engines, Fairchild switched to the Pratt and Whitney Twin Wasp Junior engines with 825 horsepower. Fifteen of these Mark IVW variants were built and then, production was discontinued when it was found the engines had insufficient power to perform as needed. Bomb loads were reduced to 500 pounds on these aircraft. Fairchild brought back the Bristol Mercury engines in what was branded the Mark IV Bolingbroke. 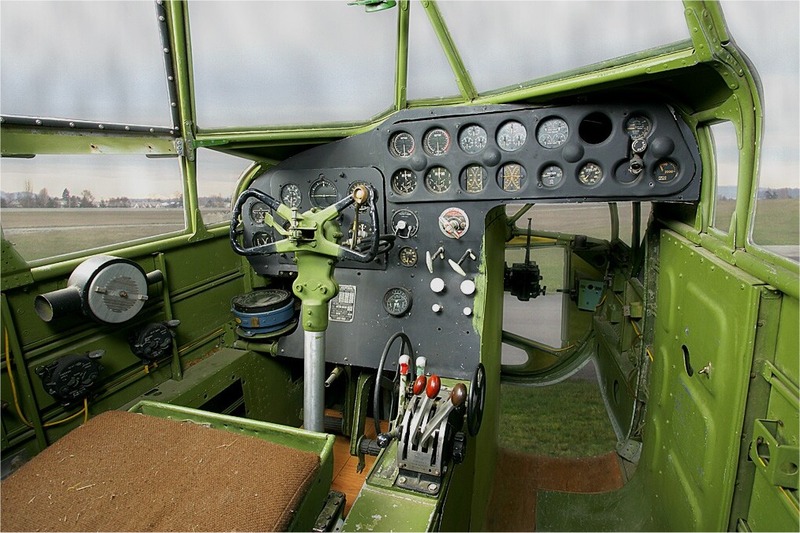 Of the total 626 Bolingbrokes produced by Fairchild-Canada, 457 were produced for training purposes and were known as the Mark IVT. 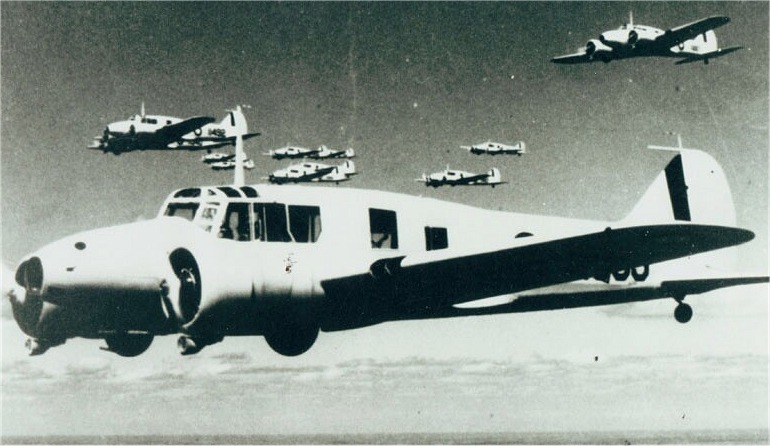 Six of these were built with dual controls and 89 were built as target tug aircraft for gunnery practice. Bolingbrokes utilized as target tugs were given winching gear and storage space for the targets used in air gunnery practice. One hundred and fifty-one Mark IV versions were built. Four Home War Establishment RCAF squadrons used Bolingbrokes extensively while another four squadrons had limited use of the aircraft. 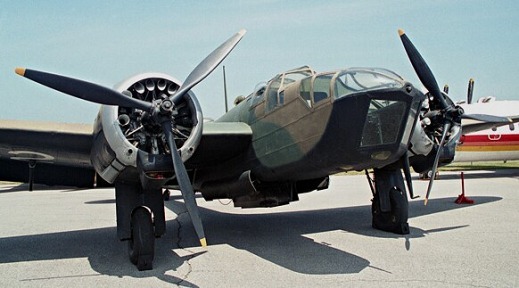 while the Blenheim was allowed 1200). Seventy years after operations wound up for most of the schools of the British Commonwealth Air Training Plan, current information about those schools runs the gamut from copious amounts available for some to hardly anything at all for others. No. 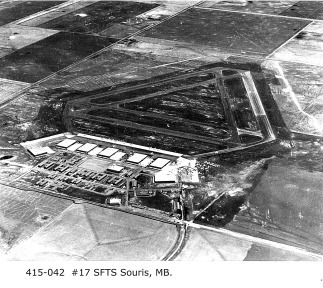 17 Service Flying Training School, Souris Manitoba, falls into the second category, however, we found an abundance of photographs from that place at that time and feel that presenting a Vignette for No. 17 SFTS is a useful exercise. No. 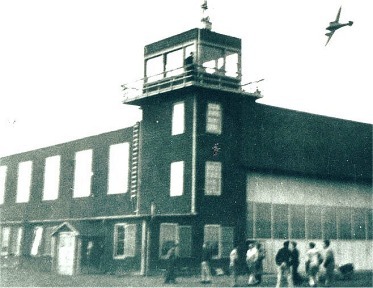 17 Service Flying Training School opened for business on March 3 1943, providing training to the Common-wealth Air Forces for 753 days. It closed on March 30 1945. It fell under the administration of the Royal Canadian Air Force which also provided the training. No. 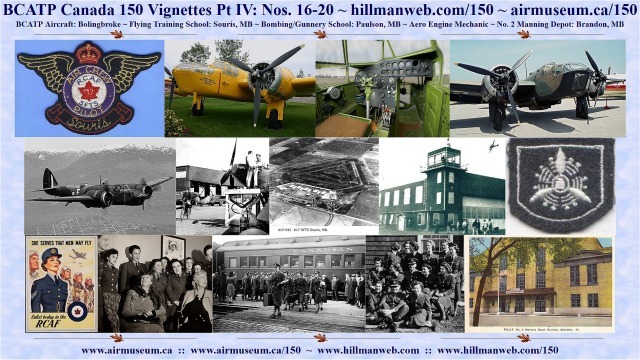 17 utilized North American Harvard and Avro Anson aircraft for training. The school had seven hangars and the standard three-runway airfield. 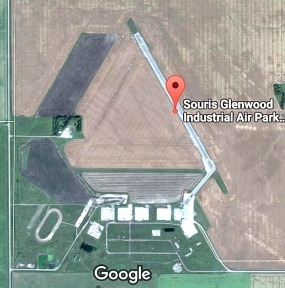 The period air photo seems to indicate a rather small infrastructure supporting the school. There appears to be only four large h-huts likely for housing trainees and 10 other various sized and configured buildings. No. 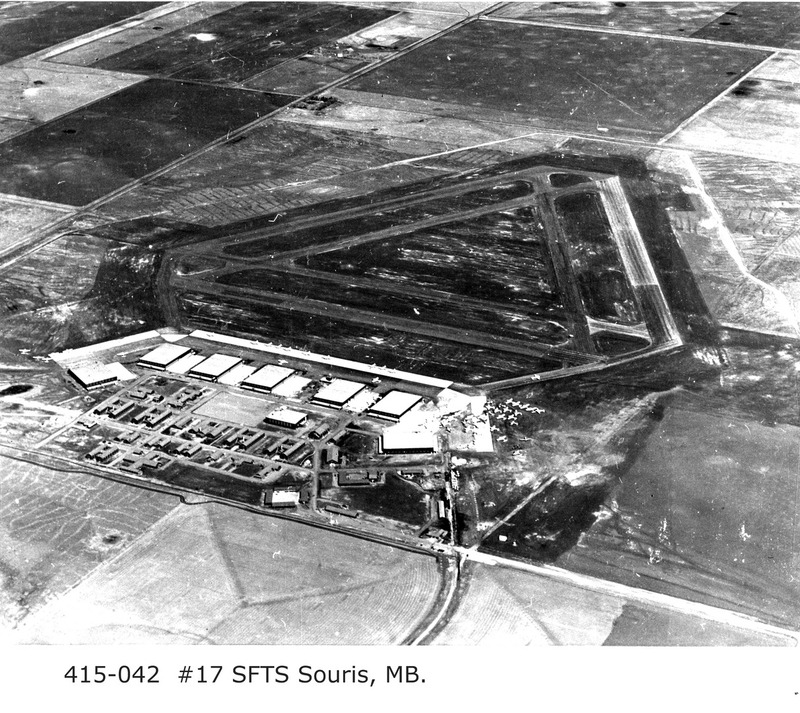 19 SFTS Vulcan Alberta had seven hangars and five large h-huts. No. 5 Bombing & Gunnery had seven and seven while No. 12 SFTS had five and eight. 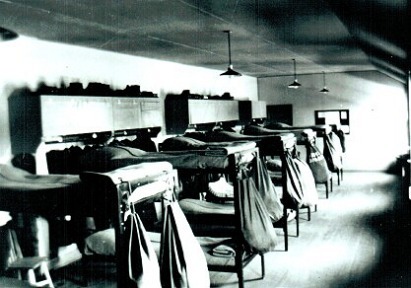 Each h-hut barracks housed approximately 300 students at a time. The two types of aircraft at No. 17 SFTS is interesting as well. 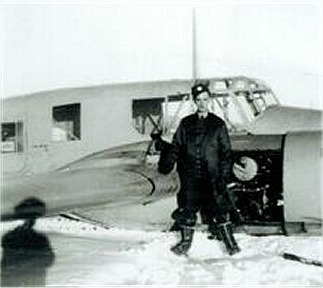 Nine of the 41 SFTS schools had single-engine and twin-engine aircraft – mostly Harvards and Ansons. 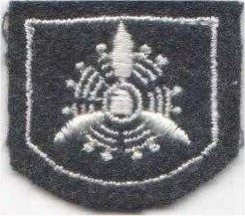 The rest of the service schools had one or the other. We speculate that the nine schools offered dual purpose training. 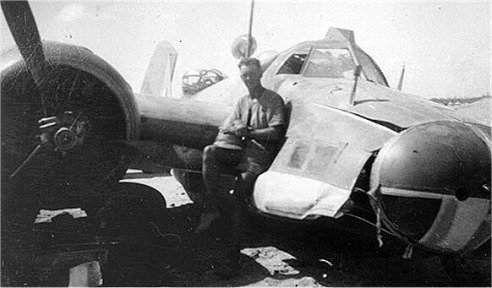 F.J. Hatch in his book "Aerodrome of Democracy:" notes that single-engine Harvard aircraft were obtained for advanced training for fighter pilots while twin-engine Anson aircraft were used to train pilots and observers for bombing and coastal operations. One other item in this vignette begs comment. 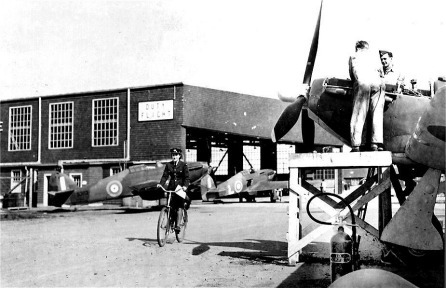 One of the photographs shows RCAF personnel working on a Hawker Hurricane fighter aircraft while two others can be seen across the apron in front of a hangar. In discussion with a museum member very knowledgeable in World War II RCAF operations, we were told that Hurricanes were stationed on a number of BCATP schools for defense of our country from the infamous Japanese "Fire Balloon" bombs or 'Fu-Go.' These first inter-continental weapons consisted of hydrogen balloons carrying incendiary or anti-personnel bombs. They were launched in Japan and were carried by jet-stream winds to drop on targets in Canada and the USA. Of the 9000 Fu-Gos launched, an estimated 900 actually landed on mainland North American soil. We’ve not heard if any made it to Manitoba or if any Hurricanes shot one down. No. 17 SFTS is now the location of the Souris Glenwood Industrial Air Park. None of the SFTS buildings remain. One turf runway and one asphalt runway are available to aircraft. Our next vignette will feature the story of Don Rollins, a RCAF veteran and former Aero-Engine Mechanic who served at No. 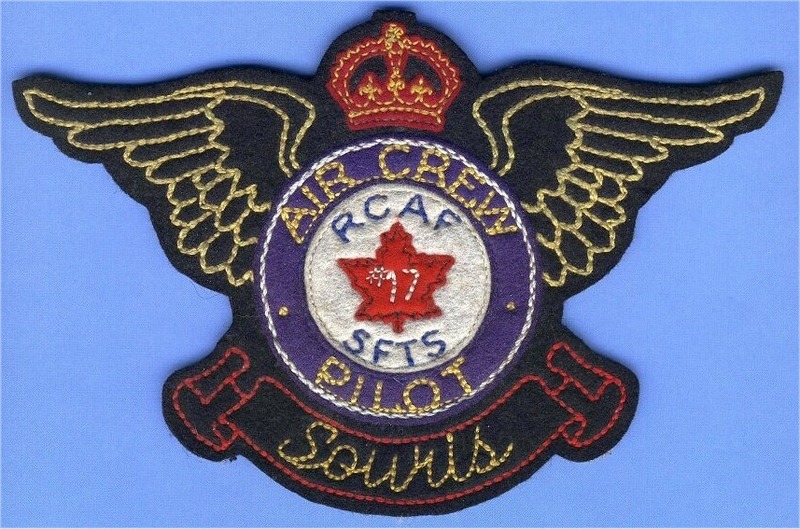 17 SFTS Souris Manitoba. It is an interesting history giving great insights into the duties and adventures of a ground-crew member. Don Rollins and his wife Molly were founding members of the Commonwealth Air Training Plan Museum. He put his skills as an RCAF trained Aero Engine Mechanic to good use working as a volunteer in the museum’s shop restoring aircraft. Projects he worked on included restoration of the Fairchild Cornell to flying status, static restoration of two Bristol (Fairchild) Bolingbrokes and preliminary work on the museum’s North American Yale project, which currently is in hiatus pending allocation of resources to complete the project. Don also enjoyed helping with maintenance of the museum’s buildings and grounds. Don passed away in 2004 at the age of 84 years and Molly passed away in 2011 at the age of 85 years. I was born May 29 1920 in Regina Saskatchewan during the 'Dirty 30s.' Our home was just 18 miles east of Regina near the little Hamlet of Jameson. We were a family of six – three boys and three girls. There were times during the 30s when we had no telephone, radio or car. We travelled by horse and a rubber tired car. That took us to school, to church and to town to get the mail and groceries. When I finished Grade 8, I being second oldest, was left at home to look after the farm and family while Dad and my oldest brother did hard work for the municipality, so we could buy groceries. 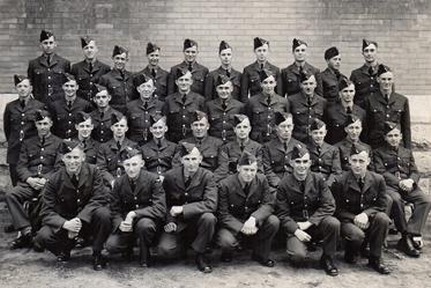 In the fall of 1940, I left to go to YTS (Youth Training School) for a period of six months. There we had lectures and shop training to prepare us for Aero Engine Mechanics. After we graduated from this, we were sent off to the Brandon Manitoba (Manning Depot) Pool where I signed up to join the RCAF. There we received our uniforms, medical shots, dental work plus lots of drill work and long marches. After eight months of that, we were sent off to St. Thomas Ontario to start our training as Aero Engine Mechanics. After four months of that we were posted to a number of airports across the country. My posting was to No. 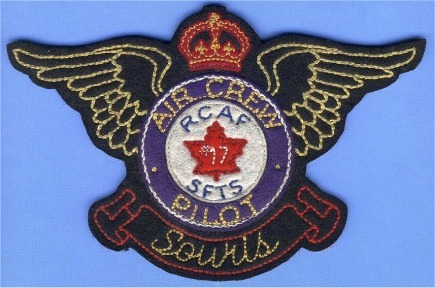 12 Service Flying Training School in Brandon. At the end of September, after posting in Brandon for four months, I was posted down to Souris Manitoba which was just opening with seven big hangars. 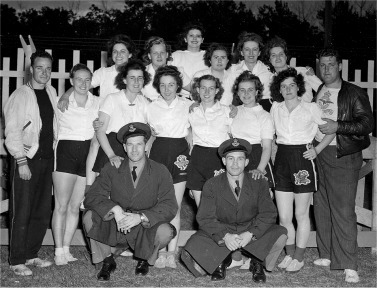 The first few days there with a few helpers who were busy setting up bunk beds for the new student pilots which happened to be a group of Australians who had been waiting for their posting to Canada. The day that I was sent down to greet them at the train, it was minus 23 degrees and a real good wind blowing, but they were a happy-go-lucky lot. 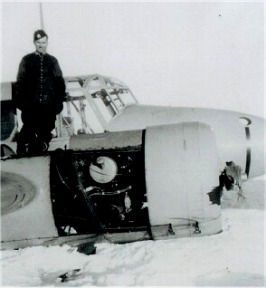 Some of the mishaps that happened while I was in Souris were when one of our aircraft (Mark II Anson) had to do a forced landing due to frozen carburetors. It did a belly landing down between Pelican Lake and Rock Lake. It happened in late January or February. Both wooden propellers were broke and when it finally came to a stop, it was only about 30 feet nosed up to a big hay stack. Myself and another fellow by the name of Davies were told to guard the aircraft until the next day. I went to work to get a new pair of propellers. We had what was called a guard house to spend the night. The Guard House was five by eight feet with windows on all sides and a little round tin stove. The night was really clear and cold so we got a good fire going and climbed into our sleeping bags to spend the night. At about 2:00 o'clock in the morning we woke up and the place was full of smoke. Some of the hot coals had fallen out of the stove and started a fire in the bottom end of our sleeping bags. A work crew arrived next morning. They jacked up the landing gear and locked it in place. New props were installed and we gave the aircraft a run-up. All was okay. One of the flying instructors made a couple of passes up and down the open field and with a Wing and a Prayer took off safely. I spent a lot of time working in the service hangers which were just across the way from the control tower. This hanger also housed the Fire & Emergency truck so when a call came from the control tower that there was an emergency, I was always the one that got `Joe’d’ to get into the asbestos fire suit mostly because I was the only one small enough to get into it. One spring morning it was a bright clear day. Just about 9:30 when an aircraft was coming in to change students and refuel. A heavy fog rolled in. Some of the planes had enough fuel to make it to another airfield. A couple of aircraft managed to get below the fog and get in okay. I was already in my fire suit ready for an emergency. One aircraft just missed the top of our hanger but one of his wings struck a hydro pole near the main gate which caused it to flip over on its back. We crashed over a few fences and rail track to get to the aircraft. Their fuel was just about done so there was no fire. Unfortunately, both student and instructor were killed. After my time in Souris, I was posted to Moose Jaw Saskatchewan. For some unknown reason to me, I was detailed to work in the Central Registry. While at this office, I witnessed two fatalities. The first happened when an electrician climbed a ladder to change a light bulb on a hydro pole outside my window. As he reached out to change the bulb, his ladder slid sideways around the pole and he fell headfirst to the ground. The second fatality was when a young pilot, who had two overseas tours in a fighter aircraft, took out a little Cornell trainer to get some more flying time before his discharge came through. Anyway, I saw this small plane flying rather low down to the end of the runway. 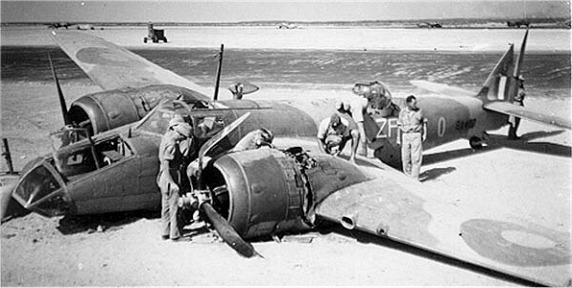 He could have landed into the wind but he banked too sharp to make the runway and crashed as he was used to fighter aircraft with more power to hold him up. It was a sad ending for a young pilot. I received my discharge from Calgary Alberta… end of story! The following is the daily report for June 11 1943 for No. 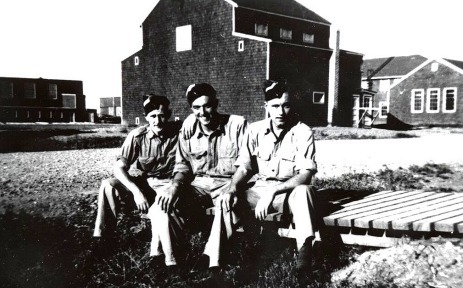 7 Bombing and Gunnery School in Paulson Manitoba. It is the itinerary for a planned visitor’s day at the school. 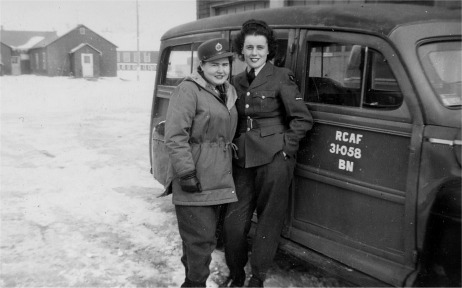 It seems to have two objectives – to provide an explanation of what a number of station sections do and how they operate, and secondly, to applaud the contributions the RCAF Women’s Division has made to the RCAF war effort by freeing-up airmen for combat related duties. 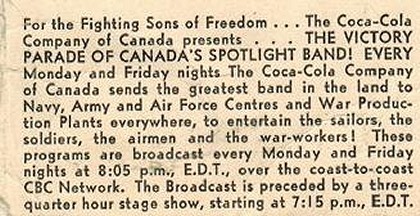 Enjoy this step back into the RCAF of World War II. 1. Visitors will be met at the guard house by the officers, who will make sure that each guest is properly signed in and checked. All airmen and airwomen must report and be checked on entering and leaving the guard house. 2. The station Post Office is in the same building. In this section there are six W.D. 's who's job it is to receive and sort the mail, and distribute it to all personnel, on the station. During mail distribution hours there is no busier section on the station. This work was formerly done by service personnel but since the advent of the airwomen on the station, the men have been released for more arduous tasks. This trade is known as Postal Clerk. 3. Our first stop is the Station Hospital. 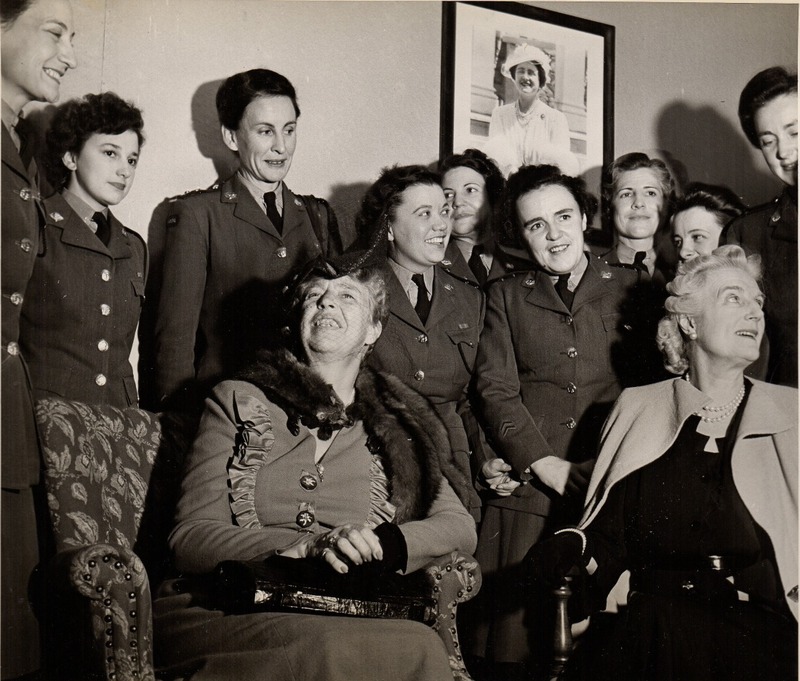 Here we find airwomen Hospital Assistants, who ably abet the Nursing Sisters and the Medical Officers. The W.D.’s have been given a special six weeks course in bedside nursing, and are preforming their duties in a most capable manner. In this one section alone, six airmen nursing orderlies were posted overseas when six W.D. 's were posted to this station hospital. 4. In the Motor Transport Section, again we will find airwomen, capable of driving anything from the staff-car, to the heaviest truck. Each of these W.D. 's has released a man for overseas duty. In their everyday life, changing, tires, washing and repairing their own car and general maintenance is just usual routine. 5. The Supply Depot although we will not find any airwomen working in this section, the ladies will no doubt find it a most interesting spot. These four walls enclose not only all the station rations, but also the butcher shop and Central Warehouse. This section is manned by the Royal Canadian Army Corps. The station rations are drawn 24 hours in advance and then distributed to the Officers, Sergeants and Airmens' Messes. By the simple method of having all supplies come to this one section issued from there to the messes, a complete check can be kept on all station rations. The butcher shop handles all the meat for the station. It is the-duty of the station butcher to prepare all cuts for the cooks. 6. W.D. Personnel in the Messes; W.D. personnel are carrying on a very satisfactory piece of work in the three mess'es at this Unit, Officers, Sergeants and Airmans’ Messes. Altogether there are 22 chefs and 32 General Duties, the larger number of whom are employed in the Airmens’ Mess. When W.D. Personnel were posted to this Unit from Training Centres one year ago, they replaced men chefs at the ratio of three to two girls were taken from every walk of life but are making a wonderful contribution in the cooking and serving of meals. Service Chefs are our Senior N.C.O.’s to whom credit is due for the excellent practical training of the girls. Cafeteria service is used at this Unit, the girls serving plates at the steam tables. From their artistic service and attractive appearance they are very popular. Meals are served over a twenty-four hour day to serve night crews in bombing and maintenance, so girls take shifts to meet the constant need for service. The Messing Officer is a qualified dietician who keeps the airmen and airwomen happy. 7. This is barrack block 38, assigned to the W.D. personnel in the station. One side, A block, is set aside for shift workers, and the other, B block, for non shift-workers: sixty-nine girls sleeping on each side. The two groups are separated because of the difference in their hours for rising and retiring. In this way, girls who work at night and sleep during the day, are not disturbed but the others who got up at 6.30 for work. Girls who are on 48,s are allowed to sleep in as long as they wish, as long as their bed space is tidy. There is a sergeant’s room in B block, and a corporal's room in each side. Every morning two girls from each block are "barrack fatigues" and do general clean-up jobs. The barracks are a "home away from home" for the girls, and each one tries to make herself as much at home as possible by putting up pictures and various ornaments. She is also responsible for the continual and complete tidiness of her own bed space, locker and shelf. Usually one can got a good mental picture of an airwoman by looking at her bed space. In barrack life, girls have to learn to live with a group of other girls, and be contented and happy under conditions which are new and different to them. In the barrack block and the canteen the spirit of friendly co-operation and understanding is foremost in each airwoman's mind. 8. W.D. Canteen. This along with the barrack block is truly the centre of the airwoman's off-duty life. Here she finds relaxation, entertainment. music, the opportunity to foregather in groups and chat over the day's doings, and a chance to spend her money on the little necessities of life, and such things as chocolate bars, fruit, popcorn, tea, coffee and sandwiches. 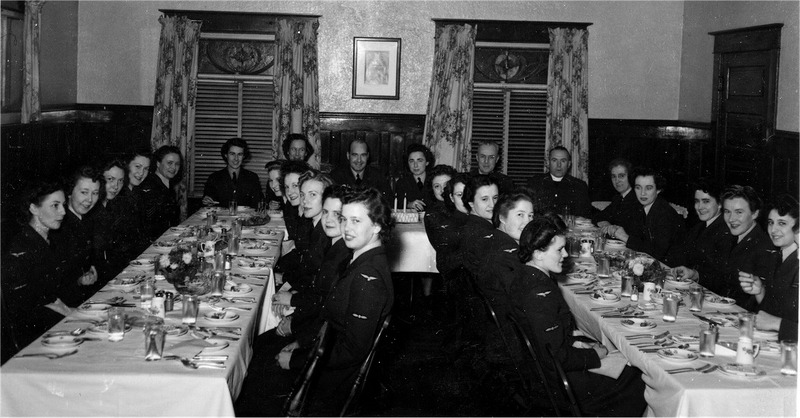 Within the canteen there is a large common room open to the girls at all times and to the airmen at certain specified hours. In the evening this is the most popular spot on the whole station, and it is always filled with laughing chatting groups. There is a Wurlitzer with a constant supply of records that is kept busy most of the evening.. The canteen proper opens into this room, and the counter is always crowded with people making purchases. Behind the canteen there is a lounge room for the airwomen, a place where they can go if they wish to be quiet and read or listen to the radio,. 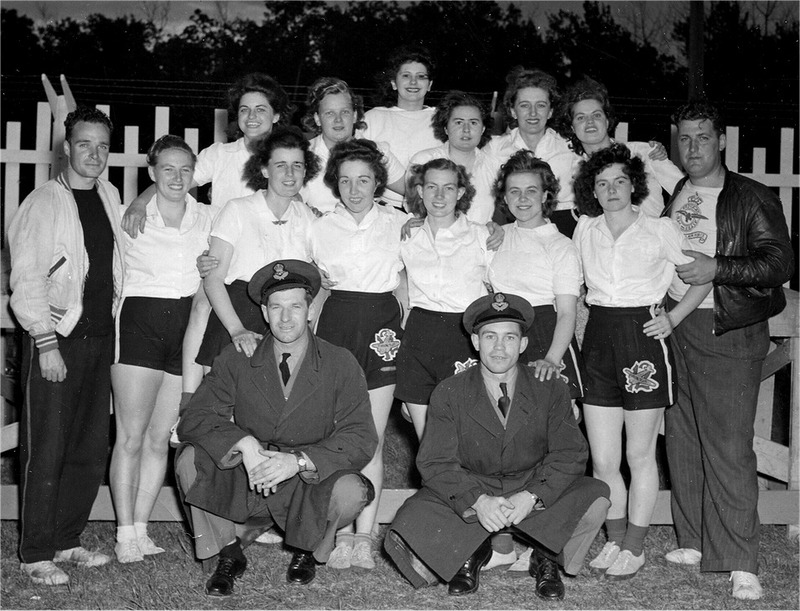 Three nights a week the airwomen may bring in airmen. Opening directly off the common room is a writing room with four desks well stocked with paper and envelopes supplied by the Canadian Legion. There is also a small room for the use of N.C.O. 's and their guests. 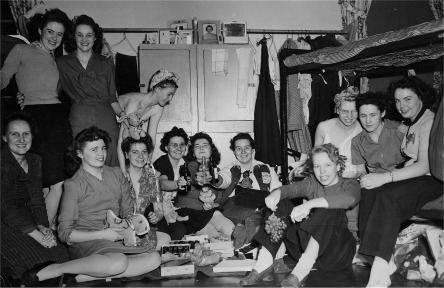 The airwomen's own dances are held in the common room, on the weeks, when there is no large dance in the Recreation Hall. These dances are very popular especially with the airmen. Music is usually supplied by a P/A System, but occasionally the station orchestra is present. At a later date there will be a beauty parlour where the girls may get their hair, etc, done; and there is now a hairdresser posted to the station. 9. Now we have come to Maintenance, one of the most interesting sections on the station. Here we find girls working in Maintenance Wing Orderly Room, log room and the spark-plug room. The work in tho Orderly Room deals with technical and mechanical reports, and general office routine. The airwomen in the log room record the inspection dates in log books and on blackboards for all aircraft on the station. It is most important that these records are accurately kept. The Aircraft Helpers (W.D.) are presently employed on spark-plug maintenance, handling all phases of this process. They also assist Aero Engine and Airframe Mechanics or minor aircraft repair in the hangar. In this section as in every other section, you will find that practically all W.D. 's have released airmen for positions that W.D. 's could not possibly fill. 10. The Equipment Section is another section in which the W.D. 's have really taken over. There are again the W.D. 's that carry on the general clerical work in connection with the recording of any type of equipment, regardless of whether it is clothing, technical or canteen supplies. One of the main duty of the Equipment Assistants is to issue clothing to all station personnel from boots and uniforms to flying clothing. As in so many other instances, here again we find airwomen who have released many men for overseas service. 11. Plotting Office in this section the W.D. 's have the interesting job of plotting bombs dropped by the students. This "plotting of bombs" is effected by the airmen stationed at the ranges, who's job it is to synchronize the dropped bombs and telephone back to the station to the airwomen in the plotting office. The W.D. 's then plot the bombs on graphs and charts and the scores are prepared from this information. The students on returning to the station can go to the plotting office and find out the scores for their "just-completed" exercises. Great care must be exercised in this work as the pupils class, standing depends oh his scores in bombing and gunnery exercises. As in all other sections, this work was formerly done by the airmen, but is now very capably and efficiently being handled by the W.D.'s. 13. The Parachute Section - The W.D. 's in this section have an extremely important job to do that of checking, repairing, and packing the parachutes worn by the pilots, instructors, and trainees. As, a man's life may depend on his parachute, great care must be taken to see that, everything is correct and in perfect condition. Besides the repairing and packing, there, is a very thorough system of keeping track of each parachute, entering each detail and repair on cards and books, seeing that no chute is lost or mislaid. The girls have released five men from this section, and are doing an exceptionally good job. They are especially good at packing, as their fingers are more deft than those of the mens; but the men do most of the heavy work on the aircraft. 14. 1500 hours - Wings' Parade - Station Parade Square. 15. The Station Drill Hall - is always a centre of great activity. In colder weather all parades and inspections are held in this hall. It is also used for sports and entertainment. 16. The Recreation Hall is the real home of station entertainment. This is where the movies and concerts are staged. On Sundays it is converted for Church Services. As the floor of this building is at present being repaired, it will be impossible to show our visitors through this building. 17. The Library in which tea will be served following the Wing's Presentation is the quiet building for the airmen, reserved for reading, and writing letters hone. This building also houses the educational officer and the Auxiliary Services Officer. 18. Headquarters - This building is really the centre of the whole station. Here are the offices of the Commanding Officer, the Adjutant, the Senior Administrative Officer and the W.D. Officer, There are also a number of important departments; the Orderly Room and Central Registry where all records are kept and through which all mail incoming or outgoing, must pass; the Accounts Section which is in charge of all financial matters: the Station Sergeant-Major's Office, through which the discipline of the station is handled and the Sports and P.T. Office. The telephone operators are also located here. In all of these offices, W.D. 's are employed, and are doing a very efficient job. 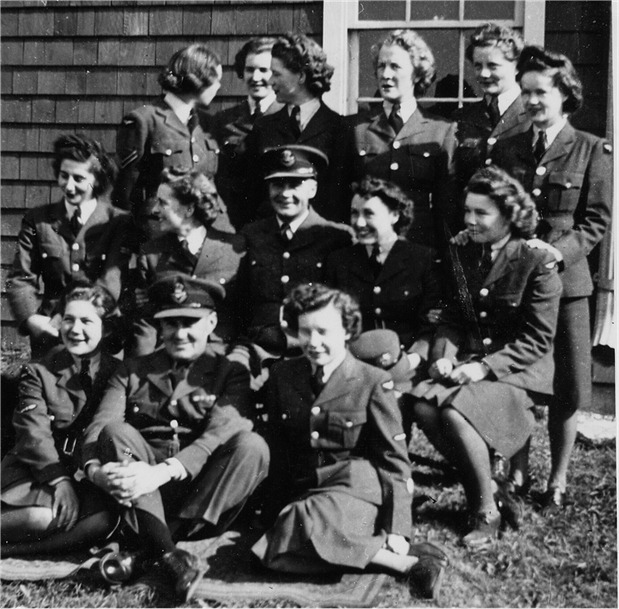 The airwomen have taken over the duties in the various offices, such as clerks. General, Stenographer, Accountants, etc. They have all released airmen from ground duties to remuster to aircrew. 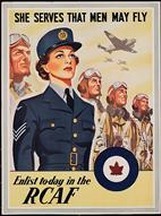 The airwomen have their own W.D. 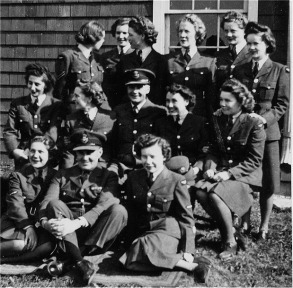 Officers, who are directly responsible to the Commanding Officer, for all welfare and discipline of the airwomen. Although the W.D. 's work for R.C.A.F. Officers during working hours, their own Women's Division Officers are directly responsible for their efficiency. N.B. All visitors will be escorted through the exit gate not later than 1730 hours. Among the archival collections available is the Royal Canadian Air Force operations record books : C-12334 which can be seen by clicking on this link. This collection is comprised of the daily activity reports for a number of British Commonwealth Air Training Plan stations which are held by Library and Archives Canada. What is offered are digitized versions of the microfilm copies of the actual station records. CATP Museum volunteer Harry D. Hayward has taken it upon himself to make these records into user-friendly documents by converting them into text files and searchable PDF files. So far, he has converted the activity reports for three BCATP stations – No. 12 SFTS in Brandon Manitoba, No. 6 EFTS in Prince Albert Saskatchewan and No. 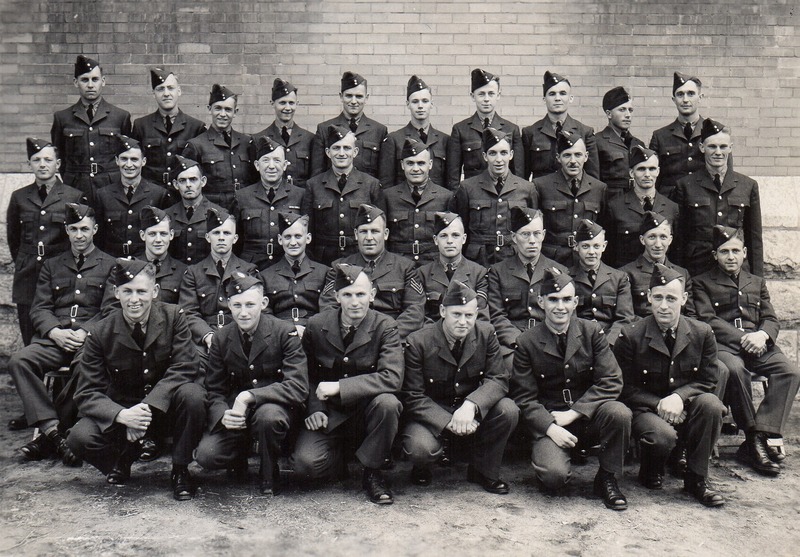 8 Bombing and Gunnery School in Lethbridge Alberta. Work continues to convert more of the station reports. These reports can be seen at: www.airmuseum.ca/BCATPsearch. Founded in 1879, the Manitoba Historical Society is dedicated to preserving Manitoba’s past for future generations. The MHS hosts field trips throughout the province, lectures and films and has made significant contributions to the building of the Manitoba Archives, Winnipeg Public Library and the Manitoba Museum. Through its web site it offers many historical opportunities of which their Historic Sites of Manitoba feature is the source of much of the information in this Vignette. During the Second World War, the Manning Depot No. 2 was an integral component of the Commonwealth Air Training Plan. This building on Eleventh Street at Victoria Avenue in Brandon was where new recruits from all over Western Canada, some 1,000 to 1,500 at a time, came for their introduction to military life. They attended classes in precision drills, physical fitness, swimming, sun bathing, as well as general outfitting. At the end of their two- to four-week stint here, the prospective airmen were sorted into three training classes: Pilots, Air Observers, or Air Gunners. Manning Depot No. 2 was the first such facility in Western Canada, supplementing the Manning Depot No. 1 at Toronto (Ontario). 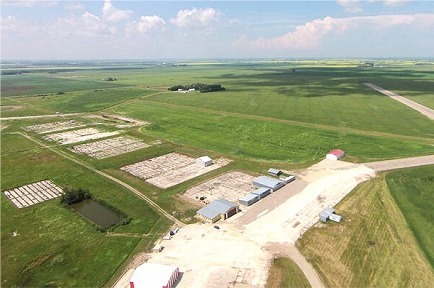 After securing a lease for the former Brandon Winter Fair Building (also known as the Brandon Arena) from the Brandon Winter Fair and Livestock Association (BWFLA), work began to convert the livestock-holding structure into a military facility. Winnipeg architect Cyril William Upton Chivers provided a renovation plan and starting in May 1940, a 60-man work crew began a thorough cleaning of the building. Cattle stalls on two floors of a large adjacent structure were removed and replaced with sleeping quarters. The wooden annex building, formerly a stable, was converted to a recreation hall and sergeants’ mess, with a dining room (with seating for 450) in a former poultry building. In just two months, the renovations were completed at a cost of some $85,000. Finishing touches were mostly completed by mid-June 1940. The Campbell Building and Fergusson Buildings on Tenth Street were also pressed into service as part of the Manning Depot. Meanwhile, the Brandon Technical School was converted into a military hospital, while classes formerly held there were moved to the Provincial Buildings at the Exhibition Grounds. featuring Mark Kenney and his Orchestra. 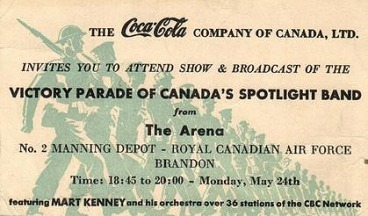 Explanation of this Coca-Cola event is on the back of postcard. In 1944, the Manning Depot was decommissioned. All buildings were vacated by the end of May and staff was relocated to Swift Current (Saskatchewan). The BWFLA was paid $80,000 to renovate the building back to non-military uses. Around August 1947, the venue was reseated, expanding its capacity from 2,800 to 5,100, and an artificial ice plant was installed. 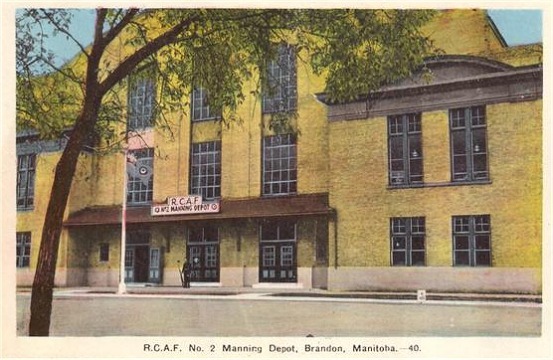 It was officially opened on 5 December 1947 prior to a hockey game between the Brandon Wheat Kings and the Winnipeg Monarchs. No. 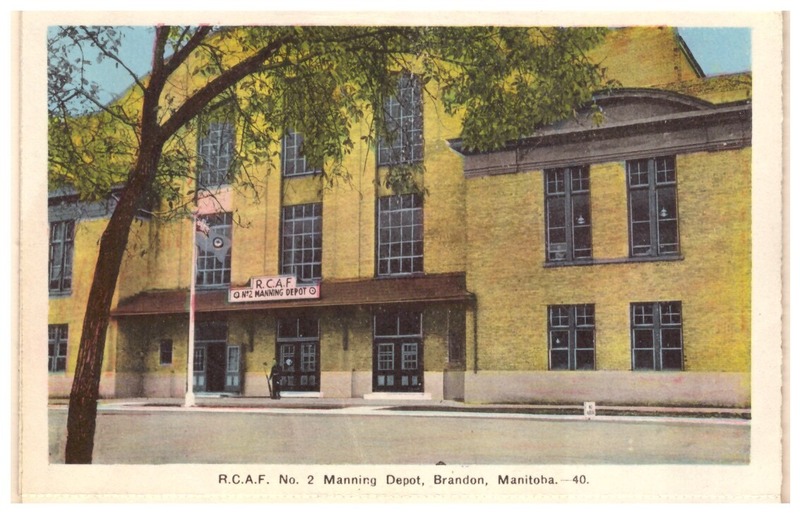 2 Manning Depot operated in Brandon for 1,477 days between April 29 1940 and May 15 1944 at which time it was moved to Swift Current Saskatchewan where it was open for another 108 days until August 31 1944. Until No. 2 Manning Depot was opened, all Royal Canadian Air Force recruits were processed through No. 1 Manning Depot in Toronto Ontario. Three additional manning depots were located in Canada during World War II at No. 3 Manning Depot – Edmonton Alberta, No. 4 Manning Depot - Quebec City Quebec, and No. 5 Manning Depot - Lachine Quebec. 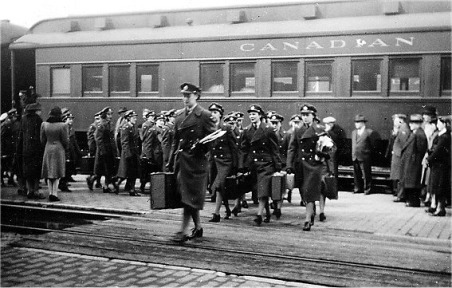 Manning Depots for Women’s Division recruits were located at No. 6 Manning Depot in Toronto and No. 7 Manning Deport in Rockcliffe Ontario. "Flight 122 #2 Manning Depot Brandon, April 1943, To my Sons - Dad. An interesting archival item left over from No. 2 Manning Depot is the Barber Book. While open to the RCAF, a gentleman by the name of Jack Taylor operated a barber shop in the building. Jack asked everyone who received a haircut to sign their name and list their home town in a series of scribblers which became known as the Barber Book. He collected over 22,000 airmen names and home towns in the books which are on display at the Commonwealth Air Training Plan Museum. The names have been added to a searchable computer database making it easier for veterans and their families and friends to find their names. An amazing amount of veterans and families have joyfully taken advantage of this attraction.